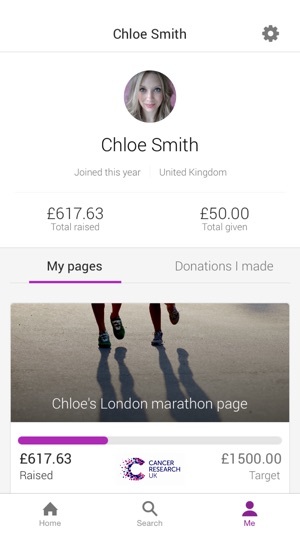 JustGiving is the world’s fundraising platform for good. So far we've helped people in 164 countries raise over $3.3 billion for causes they care about. Our app helps you make good things happen. 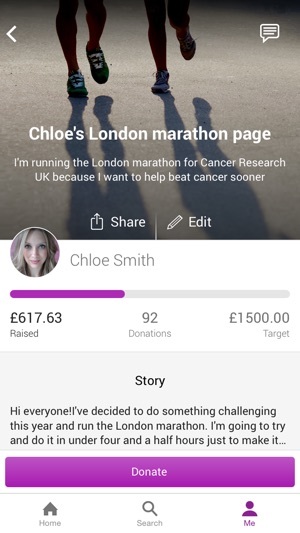 -	Create a Fundraising Page. -	Keep track of your Page total, edit and share your Page. 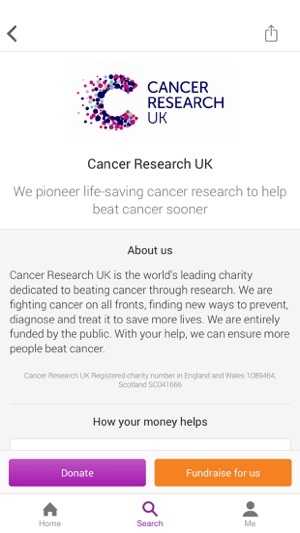 -	Find your friends and donate to over 13,000 charities. Want to start raising money? -	Set up your Page in five simple steps. -	Share your Page instantly on social media, or via text, email and messenger. -	Start collecting donations immediately. -	Manage your Fundraising Page or Crowdfunding Page super simply. -	Send updates from your phone on the go. -	Get joyful notifications whenever someone donates to your Page. -	Search for your friends. -	Donate to over 13,000 charities around the world. -	See stories from the people and causes you care about in your personalised Feed. 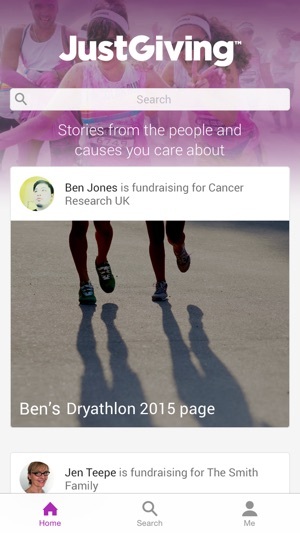 "The app helps our fundraisers tell their unique stories, so they raise more for our cause." You can now see your Crowdfunding pages in your Profile once again! This app is a nightmare if you’re crowdfunding - trying to do anything about managing your page is impossible, it just takes you to the page as if you’re a new person who wants to make a donation. There’s no way that I can find to actually manage the page, and if you go to the main website on a phone to try and manage things it automatically redirects you to the app which just starts the whole impossible process again. It’s incredibly frustrating. I’ll be looking for alternative options to JustGiving in the future because this is unmanageable. Really useful app and easy to use. However it’s really frustrating to edit, end up back on the desktop site! I updated my cover photo and it still shows the old one on all my social media links until you click on the link which is frustrating. I tried to send a message on the contact ya twice and both times the app crashed whilst sending!! I guess you don’t like questions? I used this app 2 years ago and it worked perfectly. Now, I can’t change my profile photo or edit my page as if won’t save so I have to log onto a computer to update. I also no longer receive notification noises even though all my settings are correct. The homepage is terrible and shows pages you’ve sponsored from years ago. Awful design and I don’t want to be reminded of some charity donations I’ve made due to the sadness of them.